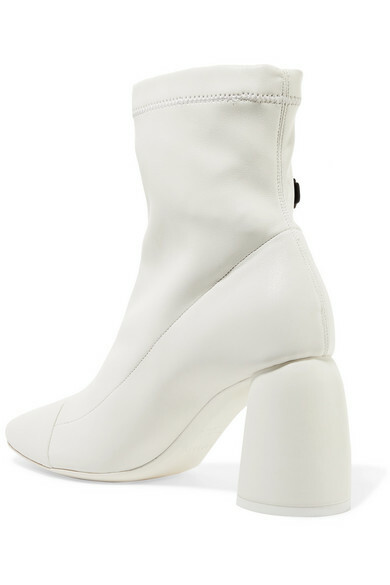 It just takes one look at these ankle boots to see why Kym Ellery is often described as one of Australia's most exciting designers - like all of the pieces in her collections, they're ultra modern and architectural, yet so easy to style. 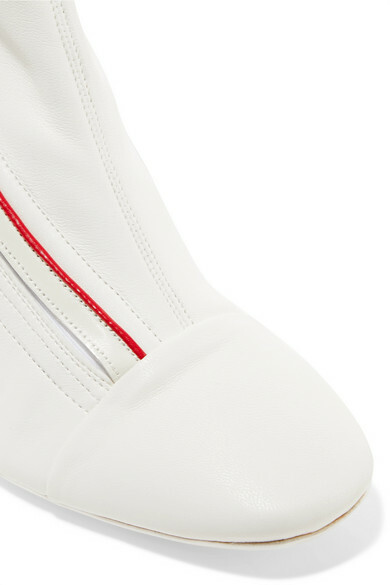 Crafted in Italy from smooth white leather, this almond-toe pair is set on a sculptural block heel and minimally detailed with a red stripe and cool snap-fastening tabs. 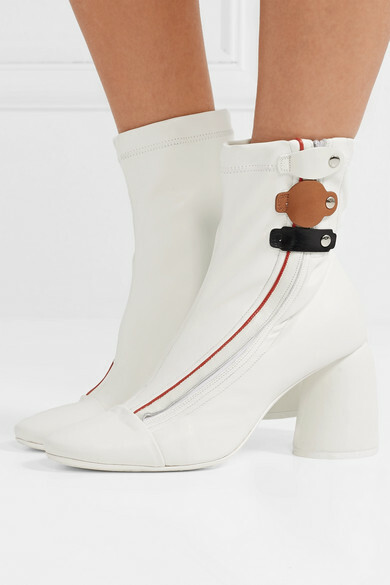 Wear yours with cropped jeans or midi skirts. 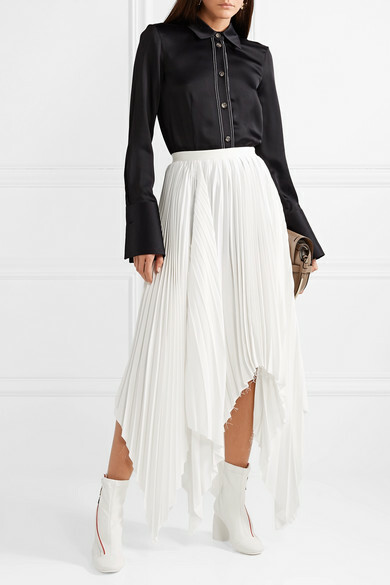 Shown here with: Khaite Shirt, Khaite Skirt, Loewe Shoulder bag, Isabel Marant Belt, Ellery Earrings.